Erika M. Anderson has never shied away from taking on controversial or disturbing topics in her music under the EMA moniker, offering up musical statements about 9/11, privacy and technology, and even covering fellow outspoken artist Sinéad O'Connor's "Black Boys on Mopeds" in response to the turmoil in Ferguson, MO. Now, Anderson has released video for an EMA song titled "Active Shooter" in response to recent mass shootings in the U.S. 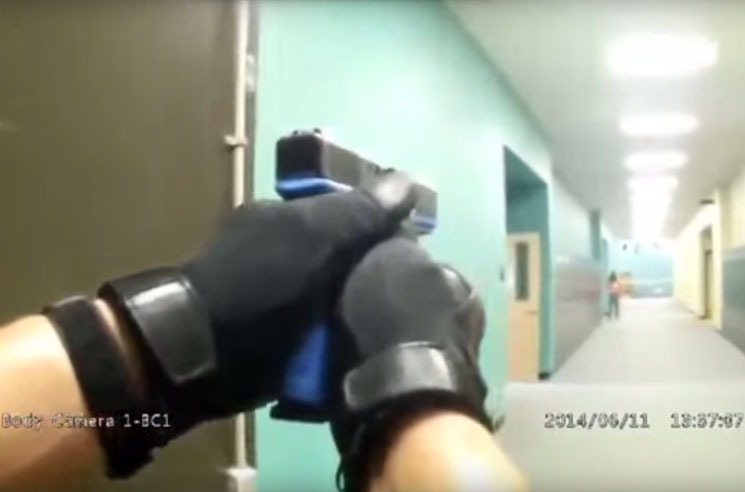 The clip was filmed at a middle school, but also incorporates footage from a Texas police department's training video for mass shooter scenarios. The song itself features an audio sample of President Barack Obama's speech in reaction to the Umpqua Community College shooting in Oregon earlier this month. Watch the video below.